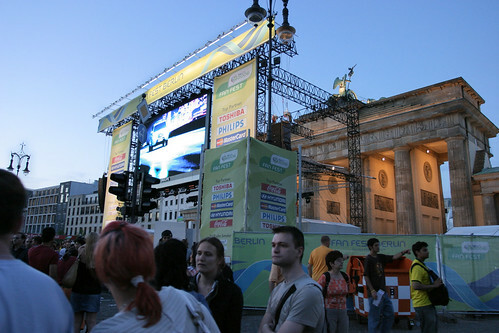 I don’t know what Berlin is like when it isn’t hosting the World Cup, but it was definitely the place to be in June of 2006. 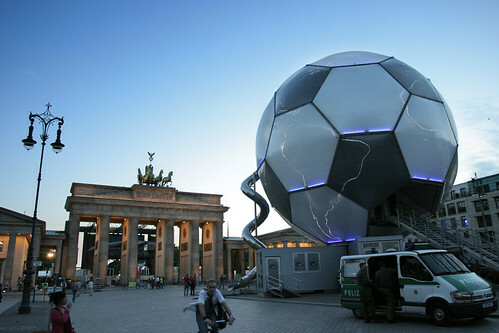 The Brandenburg Gate became the backdrop for a public soccer sanctuary of big screen worship. Besides the fanatic crowds and beer (great combo btw), Berlin treated us well. 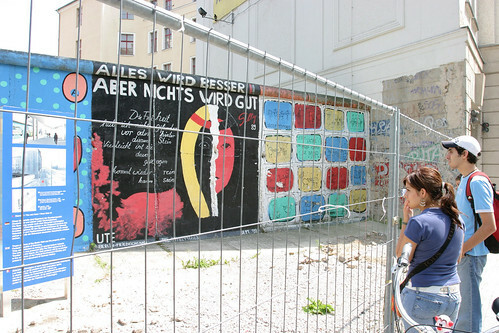 We took a bike tour through the city and checked out what’s left of the Berlin Wall. It made me wonder if future generations will take tours of the U.S. México border and see pieces of the wall in museums. I couldn’t help being impressed by Berlin’s public transportation system. It made NYC look like the third world. After an all too short stay in Berlin, we set off to meet up with family in Italy. 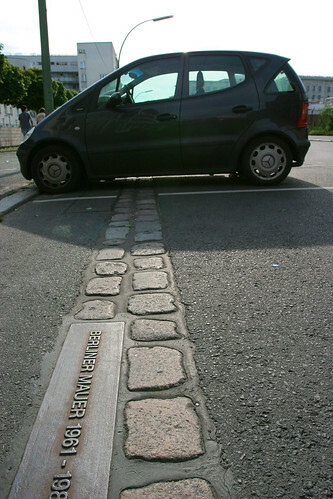 What I find fascinating about Berlin is that it is such a forward looking city. Most cities in Europe draw on their past and their history in creating a sense of place and their identity. 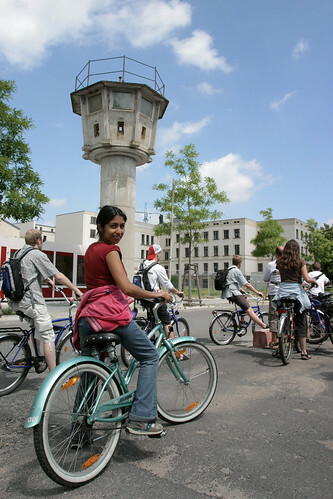 Given Berlin’s not so proud past (and the fact that it was more or less destroyed), it relies more on the future. There are lingering monuments to the past, but it has a dynamic sense of change that is often not present in other European cities. It is interesting that you noted the Berlin Wall. I think reactions to the wall are very generational. To me it was iconic, for the last years of the Cold War and the Iron Curtain were part of my formative years. My wife, however, sees it more as a historical object since it never played part of her geo-political consciousness. What a difference four years makes! Looking forward to your observations and pictures from Italy. 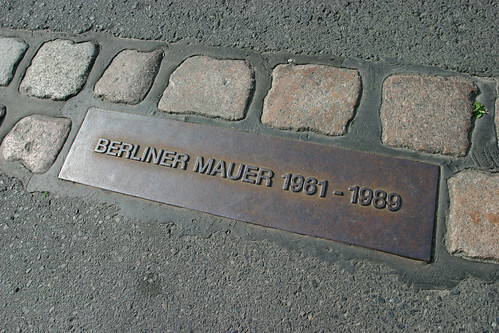 And you make a good point about the Berlin Wall. I was only 11 years old when it came down! 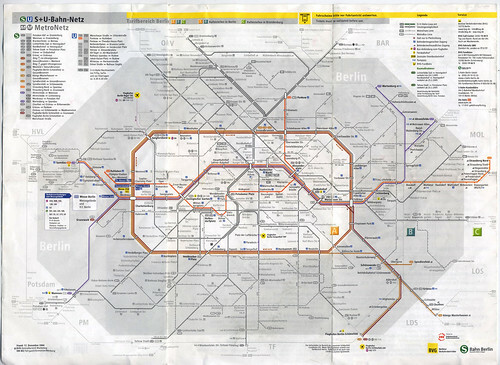 When I saw the scan of the public transportation system in Berlin, I was impressed. Oh, I made one of your Venice photos my desktop background. When my mom saw it, she loved it and then we started going through your Venice and Barcelona photos. She loved the photos too.